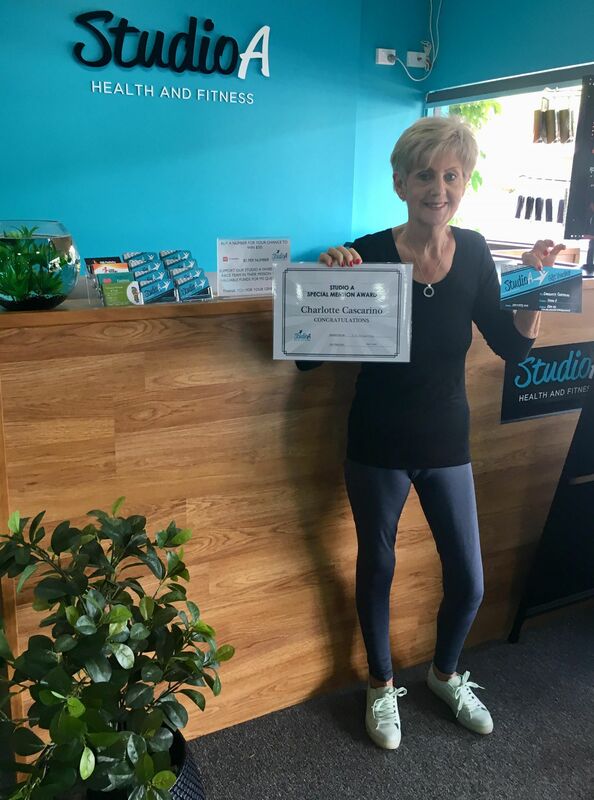 Studio A Health and Fitness has so many clients that are constantly achieving fantastic goals and feats! And, we love recognising those that give it their all, despite any challenges or obstacles that they may come across. 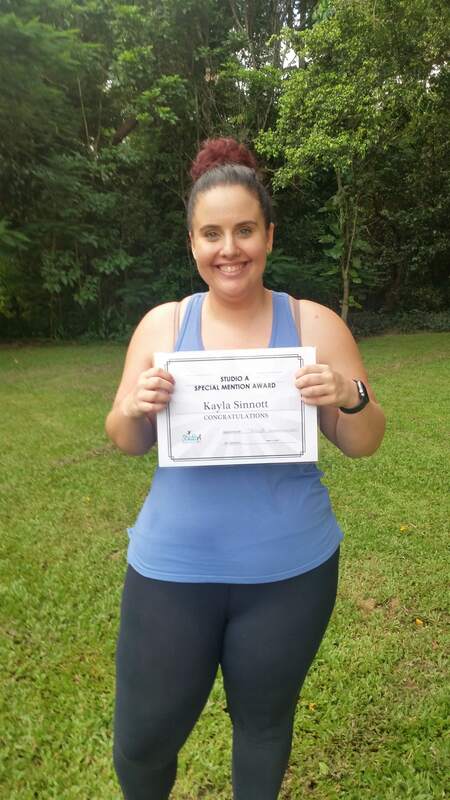 Congratulations to our Special Mention Award Winner, Kayla Sinnott! 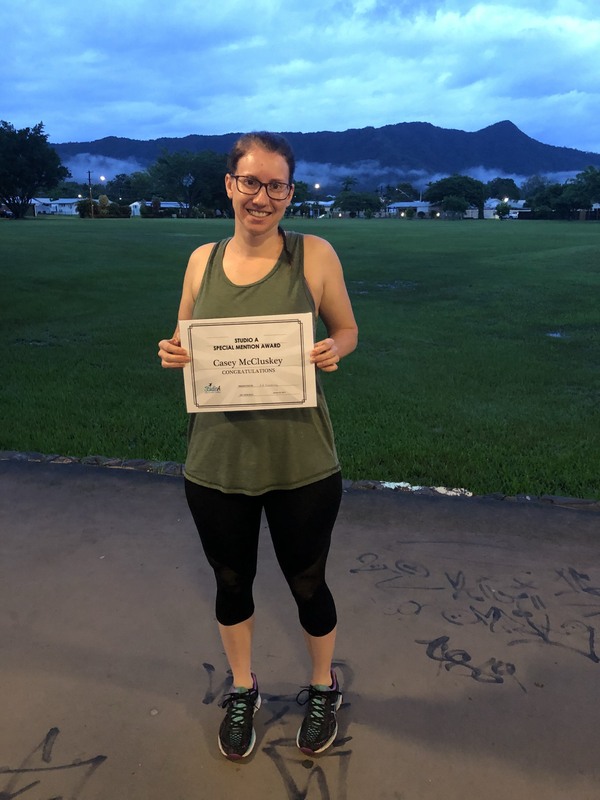 Kayla is one of our dedicated Bootcampers and consistently goes as hard as she possibly can at each session, always trying to progress every week. And she attends all sessions…rain, hail or shine which is fantastic! 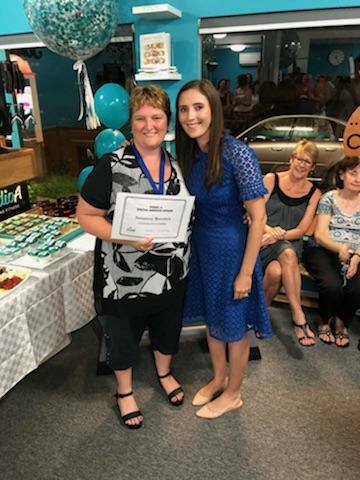 Congratulations to our Special Mention Award Winner, Tanya Axtell! Tanya is one of our Triathletes in training and has embraced all of the new scary things as part of her training, just taking it all in her stride. And her attendance is perfect! We couldn’t ask for more. Well done Tanya and keep up the great work! 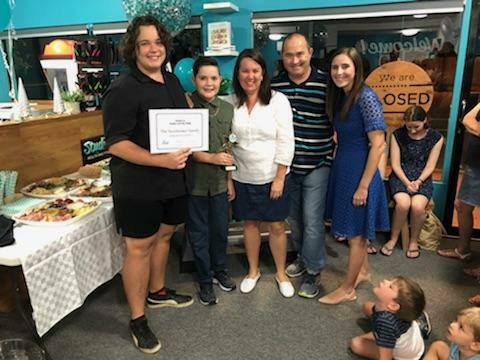 A huge congratulations to our Special Mention Award recipient Casey! Casey always puts in her best effort at each Bootcamp session, rain hail or shine! And her attendance record is amazing…what a fantastic effort! A huge congratulations to our fantastic PT client Kylie Thompson! 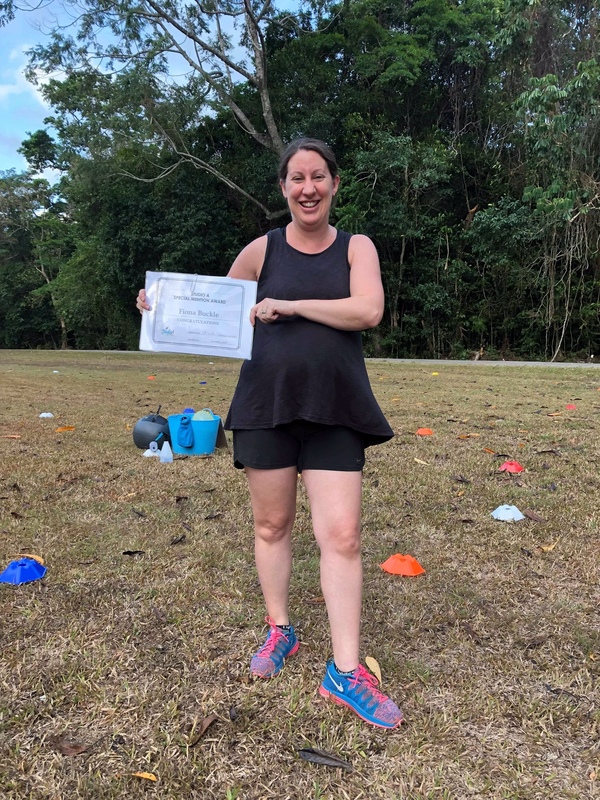 She has received one of our Special Mention Awards for continuing her training right through to the latter stages of her pregnancy, and she has worked hard all the way. A huge congratulations to our fabulous Bootcamper Bel Pratt! 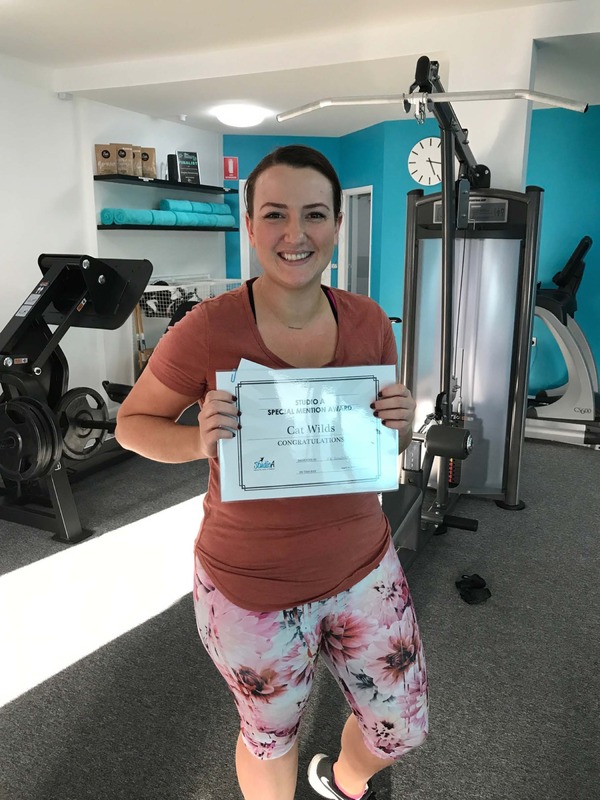 She has received one of our Special Mention Awards for making huge progress in both her fitness, measurements and health since commencing Bootcamp with Studio A. A huge congratulations to our fabulous Bootcamp client Fiona Buckle! She has received one of our Special Mention Awards for her amazing dedication to her sessions. Even though she is heavily pregnant, she is still training hard…what a fantastic effort! 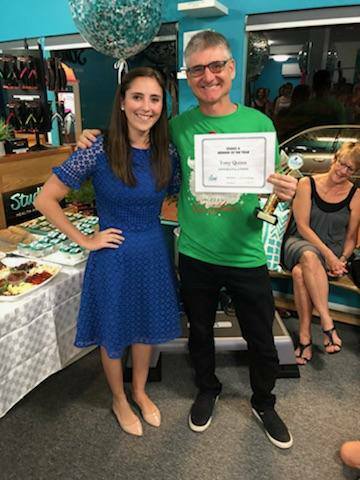 A huge congratulations to our fabulous PT client Alisia Bean! 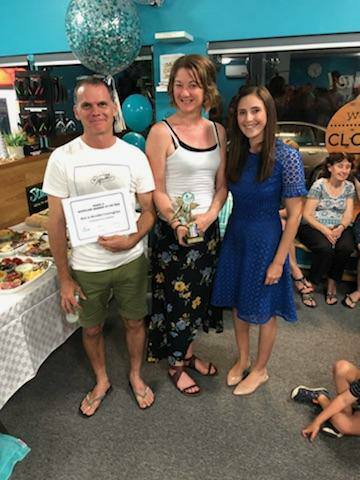 She has received one of our Special Mention Awards for her amazing dedication to her sessions. She has taken everything in her stride and made the necessary changes to help herself aim high towards her running goals. Her results have been truly deserved coming from complimenting her exercise, nutrition and positive thinking. Definitely showing it can be done when you are in the right mindset. Well done! 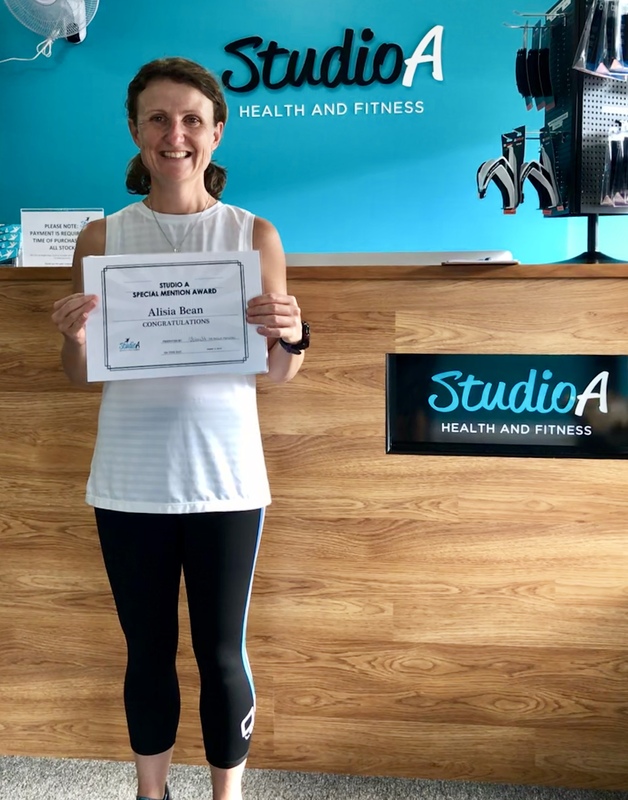 A huge congratulations to our Special Mention Award recipient Charlotte, an amazing lady who has come such a long way with her training since joining us a few months ago. She is always dedicated to her sessions and determined to be better each week. Well done Charlotte! 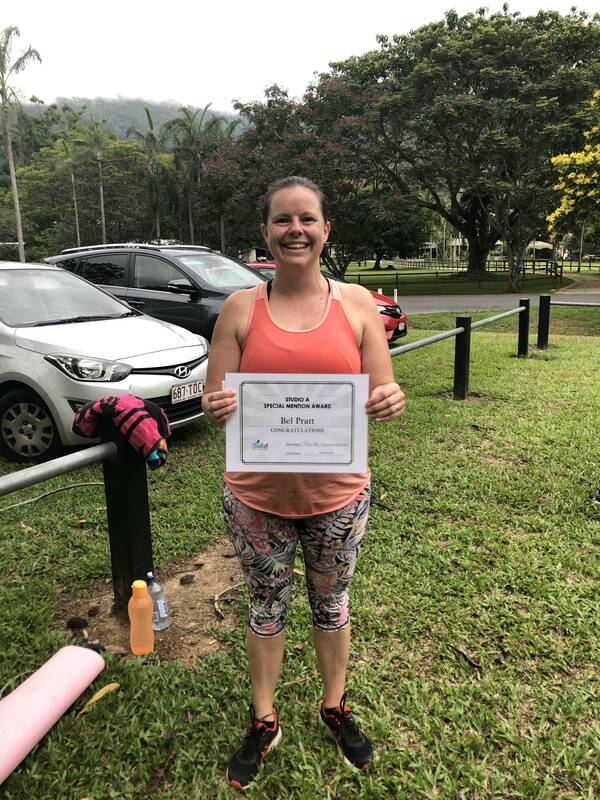 Tania is a fabulous long term Outdoor Group Training participant. Her enthusiasm and commitment to her training is truly admirable! Tania gives her all in every class, and gives the young participants a ‘run for their money’! 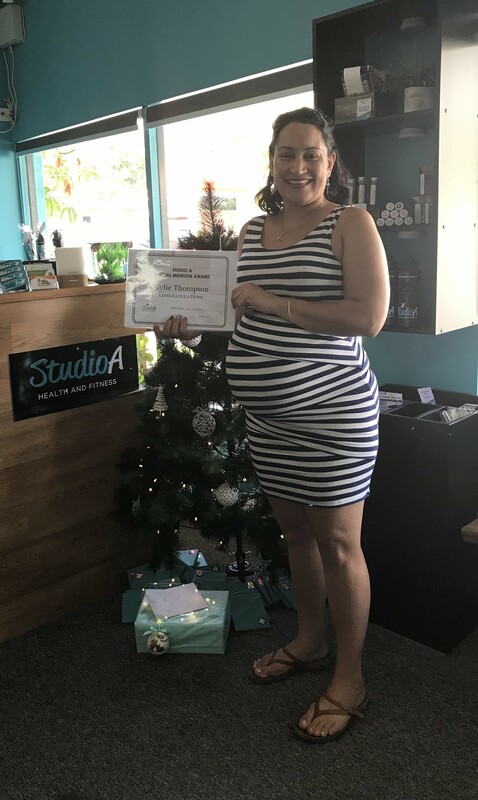 Congratulations Tania for being such a wonderful part of our Studio A family! Antonia’s journey began just a few short months ago when she decided to step out of her comfort zone and join our cycling program. Since beginning, she has improved each and every week! We are so proud of you Antonia…Congratulations! 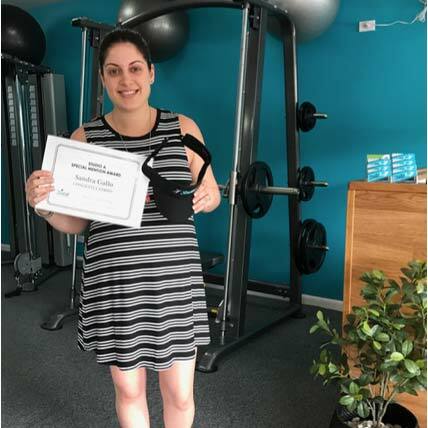 A huge congratulations to our Special Mention Award recipient Cat, who has been smashing her health and fitness goals with PT Clare! Almost 10kg down, and more to come – well done Cat! 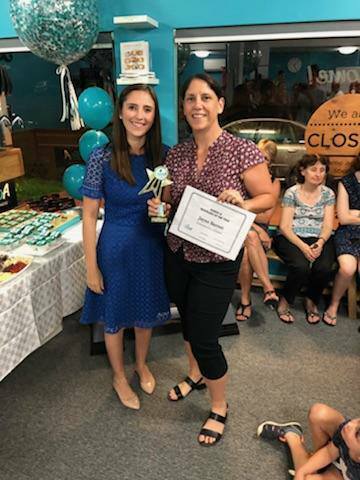 Congratulations to our Special Mention Award winner, Sandra Gallo. This woman is simply amazing! She has trained boxing, bootcamp and cardio all through her pregnancy, never has any excuses, and often runs rings around others in the group. 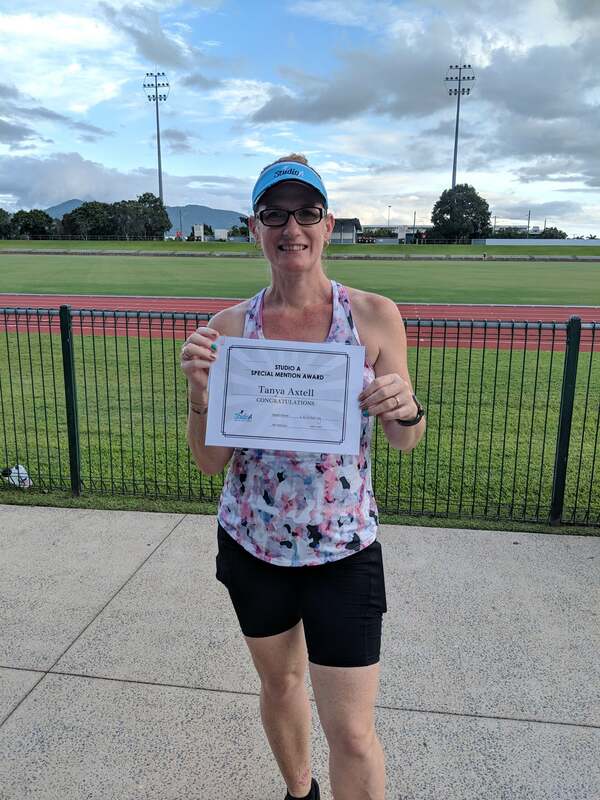 Well done on your commitment to your health and fitness Sandra. You are a true inspiration to all ladies out there. Our very first Special Mention award recipient for 2017 is Mark Little. This man is an absolute inspiration! 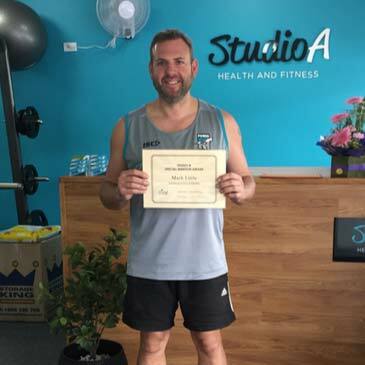 Commencing personal training at the Studio in November 2016, Mark has made some huge lifestyle changes, and has lost a massive 13kg (and counting!). Congratulations on a fantastic achievement Mark! Congratulations to our very first Special Mention Award winner, Katrin! 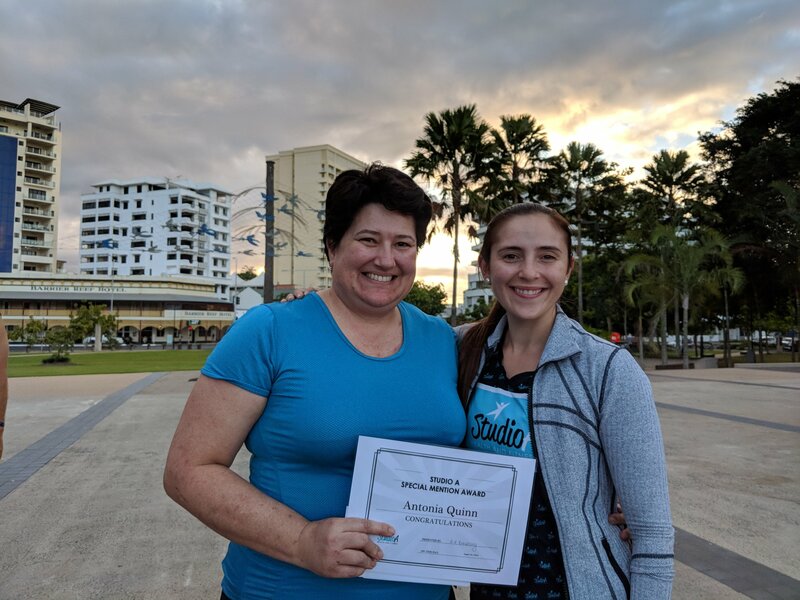 Katrin has lost a massive 11kg over two rounds of our Studio A Southside Bootcamp, and is just a couple of kilos away from her goal weight! 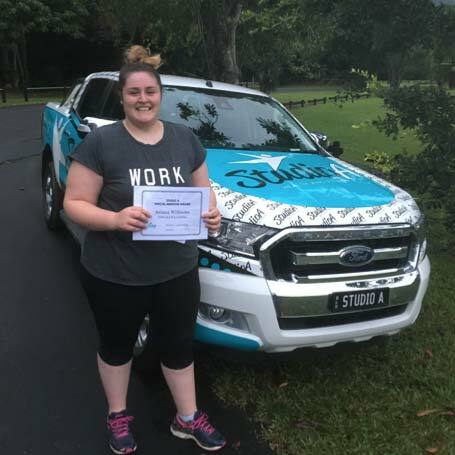 Well done on your commitment and dedication to your health and fitness goals Katrin! Meet the fabulous Kim! Kim has received a Studio A Special Mention Award because she is all round simply amazing! 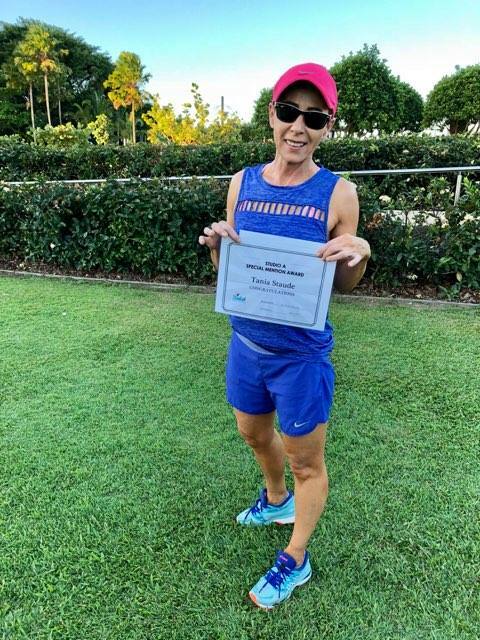 Between owning a business and running her two very busy children around, she has still made time to learn to run, and is currently completing our Run Club Program. 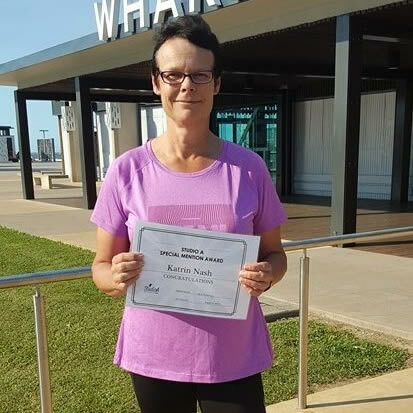 When Kim started the run club program she struggled to run 1km without stopping. 9 weeks later she successfully completed a 10km run – no walking!! Kim’s attendance is exceptional, and she is a true inspiration to all of her fellow team mates! Kim is proof that if you are determined to do something, you will make time to get it done! 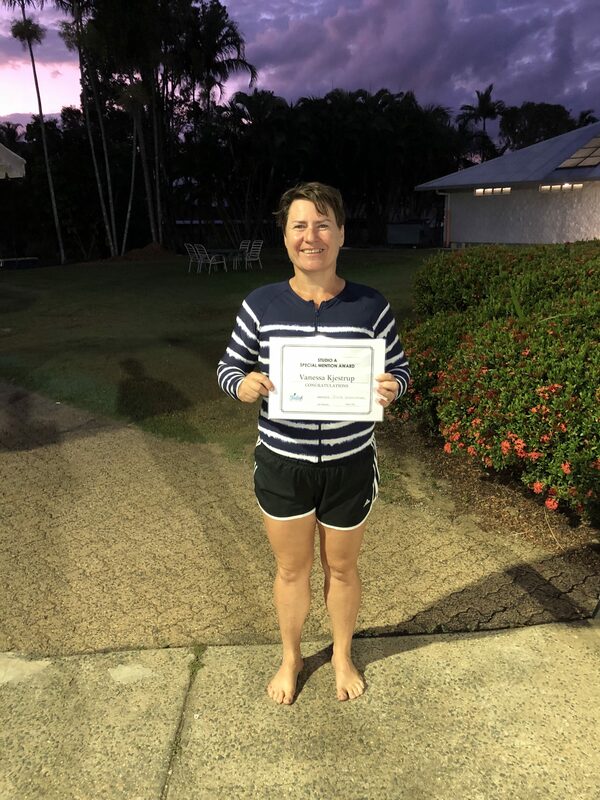 Well done Kim – this award is well deserved!! 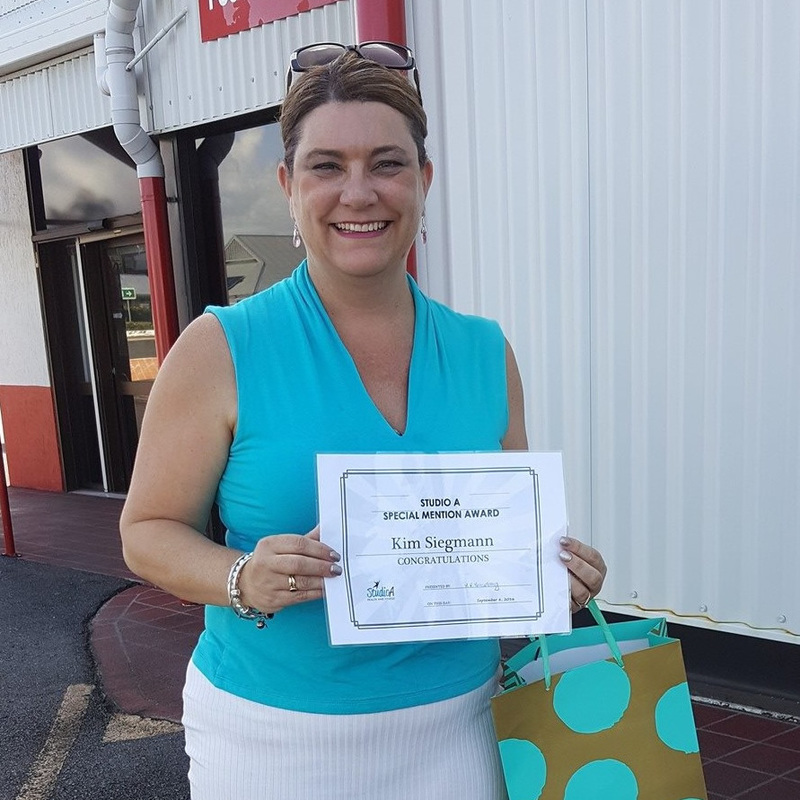 A huge congratulations to our Special Mention Award recipient, Monica! 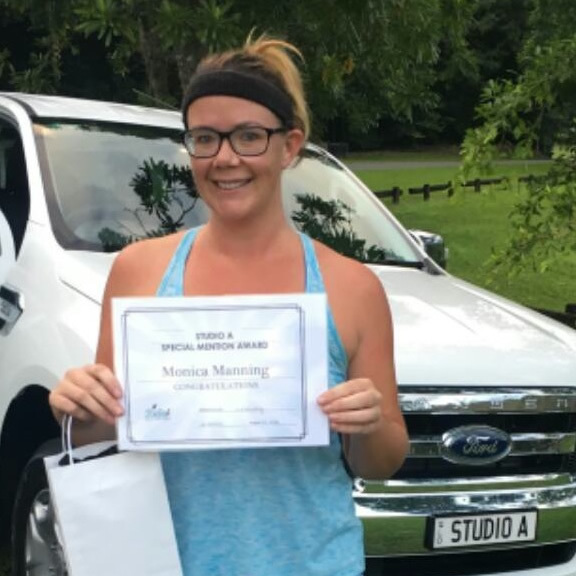 Monica started her health and fitness journey with us in January 2016, and is now one of our strongest and most dedicated bootcampers! Add to this, a huge weight loss, and a number of dress sizes smaller, and this inspiring lady is now a force to be reckoned with. Well done on your health and fitness transformation Monica!! Congratulations to our Special Mention Award Winner, Megan! 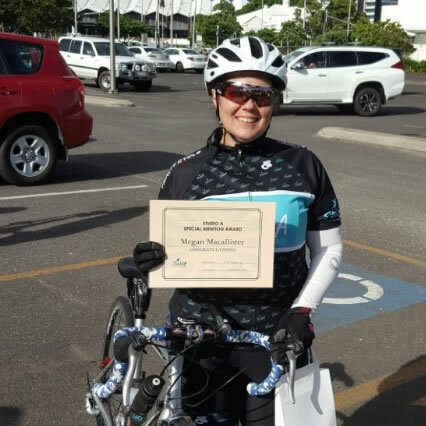 Megan has absolutely soared with her cycling over the past few months, giving everything a go with a ‘can do attitude’, and never giving up! We are so proud of everything that you have achieved so far and cannot wait to watch you continue to achieve!! Well done Megan! !